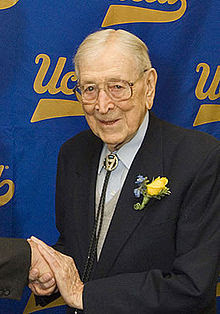 Even the most casual sports fan will know the name John Wooden - but not many sports fans will necessarily know how much the Coach loved poetry and felt that it contributed to his outlook on - and success in - life. His players knew about it, that's for sure - many of his exhortations to them took the form of verse, and he always emphasized his love for the English language. Well, he passed away on June 4th. As it happens, he was a writer himself, and one of his last pieces was about loving poetry; look for it in the July/August issue of Poetry, but you can preview the piece by clicking here. One of the things I did in the UK was visit Paul Keegan at Faber & Faber to talk about my critical edition of Bunting, now scheduled to be published next year. Paul loaded me up with some wonderful books to carry home - there's nothing I love more than carrying lotsa poetry books, and so even though he offered to ship them to me, I lugged 'em back to the US with pleasure and gratitude. One book was gigantic - the letters of Louis MacNeice, which will not, apparently, be published in the States; here's a pretty accurate review of it. Funny story about this. At Heathrow Airport on my way back home, two security agents pulled me out of the line and sent me off to be searched and questioned. The reason? The MacNeice book was so large that it didn't fit into my backpack, so I'd hand-carried it. The security folks thought it was odd that I was holding onto a book as if it were so precious. So, they took it from me, turned it upside-down and shook it... removed the dust-jacket and held it up to the light... flipped back and forth through its many hundreds of dense pages... and finding nothing alarming, politely returned it to me. A poet's letters were the object of suspicion - unread! Good thing, too, or they'd have discovered how close Louis was with the infamous art historian and Soviet spy, Anthony Blunt! (They also looked through my other stuff, of course, but not nearly as thoroughly.) After about fifteen minutes of this, I was allowed to go to the boarding area. Who knew?! 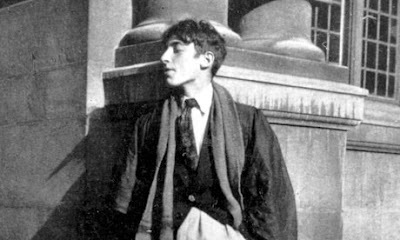 Anyway, that's a photo of MacNeice at Oxford, where I lectured on how the history of poetry editing has inflected the ways in which we think of modernism. As far as I know, no secret agents were in attendance there at St. John's! Great story about the airport!